Melani Leonard-Cooper has always loved anatomy medicine and helping people. She graduated from high school as an EMT (Emergency Medical Technician) and with many hours of volunteer time at the fire department. From there, she received a fire science degree and passed the State of Florida firefighting license exam. After working in emergency medicine, she decided that she wanted more of an active role in patient health. She obtained a degree at Eastern Florida State College and then moved to California to obtain a Master’s of Science in Oriental Medicine at Samra University. After finishing school, Melani began to practice acupuncture in Los Angeles, Culver City, Marina Del Rey and Pasadena. After years of gaining clinical experience (since 2008), she decided to pursue a Sports Medicine Acupuncturist Certification. The certification included 240 hours of learning with cadaver labs, lectures based on the latest medical research, postural assessments, motor point locations, corrective exercises and much more! This program is advanced training that focuses on sports injuries, injury prevention and musculoskeletal pain. It adds in current research and applies Traditional Chinese Medicine principals to Western Biomedical principles, in order to bridge the gap of Eastern and Western medicine. She focuses on treating sports injuries, pain and various internal medicine ailments using acupuncture, moxibustion, cupping, auriculotherapy and many other modalities. I love solving problems so I enjoy helping people solve their body imbalances. I enjoy treating very difficult cases and I love seeing my patients doing better. I am constantly learning new things or better ways to help my patients. I have taken many continuing education courses, many cadaver labs and I also love educating my patients about their conditions. I have a very large library of medical books that I regularly read and refer to and I also love reading medical journals/research. I enjoy combining a holistic/eastern medicine approach with western medicine/biomedical information. I am very enthusiastic and passionate about helping my patients to the best of my ability. I love to tailor my treatments specifically to each and every patient that comes in, everyone is different and I take that into account for every session. My sessions may include a number of different modalities, in order to help my patients the best that I can. I use acupuncture, cupping, e-stim, moxa, infrared heat, herbal liniment, aromatherapy, Chinese herbs, auriculotherapy, active stretching, myofascial therapy, orthopedic tests, manual muscle tests, corrective exercises, postural assessment and many other modalities during treatment sessions. I use various things to help my patients recover as fast as possible. I am gentle with my techniques and I try to make everyone feel as comfortable as possible during the treatment. I enjoy treating all body pain, headaches/migraines, orthopedic conditions, very difficult internal medicine issues and other issues that Western Medicine has not been able to help. I treat many, many health conditions. If you are unsure if I can help you, please email me or give us a call and I will be happy to speak to you and answer any questions that you may have. I will do all that I can in order to help you see results. I also treat people of all ages and walks of life! Acupuncture is unlike any other medicine. I love it because it helps to harness your body’s own restorative powers to help heal what is ailing it. 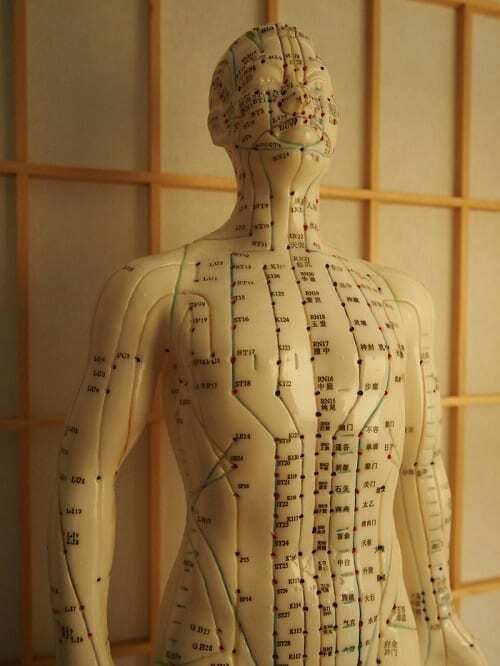 Acupuncture has been around for thousands of years and it still continues to help people daily. It helps to solve so many medical conditions, emotional disorders, gastrointestinal issues, sleep disorders, stress-induced pain, hormone imbalances, mood imbalances and much more! It also increases blood flow to increase healing, stimulates the body’s release of anti-inflammatory cells to help reduce local inflammation and also to reduce localized body pain. It strives to help balance the body to where it needs to be. Acupuncture not only helps with body pain but it also helps to balance the various different organ systems within the body. Not only can you feel better, but you can also balance the entire body while doing it!